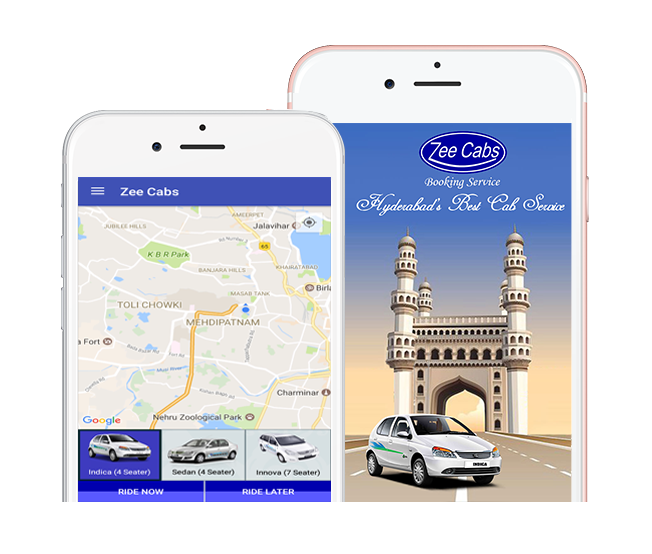 zee cabs make available for use great services to satisfy to the customer who needs to travel and reach safely to their destinations. Any event or special occasions. Zee cabs makes beautiful and Memorable journey of your life. Breakfast, Lunch, Dinner(foodie) and special meetings. We promise you to drop on or before time safely. Do shopping around any corner of the city. We drops you to the destinations. Any Movie hall in city and any Show reaches on time. Zee Cab offering on its platform rages from affordable AC Cabs on the Zee Micro range to the superior luxury offering from Zee Luxury instead to shuttle buses for daily commute. Using the Zee Mobile App, users across hyderabad can conveniently book many vehicles available to them.